You can download the latest version of GWX Control Panel from my downloads page, and you can read the complete user guide for a detailed description of all features. And here's the next tutorial that only covers the new features that debuted in versions 1.2 and 1.3. 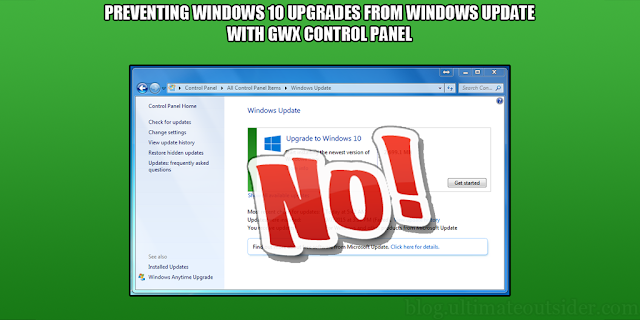 This discusses how you can return the Windows Update control panel back to its regular behavior if it gets hijacked by Windows 10, and also explains how you can use GWX Control Panel to keep track of the hidden Windows 10 download folder.